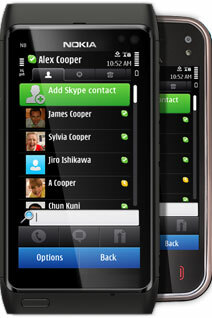 Skype is now officially supported for S^3 handset such as Nokia N8, C7, C6-01 and E7, and E5(non S^3). It includes SILK, our high quality audio codec, which should help make sure your calls are crystal clear, even when you’re on a low-bandwidth connection. The update also contains a number of interface improvements, making it easier to add contacts, navigate, add a photo to your profile and set your mood message. Additionally, we’ve updated the interface to better fit larger screens. It's a good thing that skype has supported s^3 devices now but if you're not limited on contacting your friends using skype only then skype is no better than nimbuzz nor fring. Doesn't work with bluetooth headset if bluetooth connection is not enabled before a skype call is initiated. I'm pretty sure the said features above will come after an update but the question is when that update is coming?.. So for now, unless i don't have other way of calling a friend via VOIP except skype, I'm sticking to nimbuzz for a while.